After creating an award trophy for Marriott last year, I was asked to additionally create scale models of eight different hotels around the United States. They were presented to the hotels themselves as awards for design, construction, collaboration, and and participation. This hotel is located in downtown San Diego, California. LEGO pieces are certainly well suited for modern style architecture! 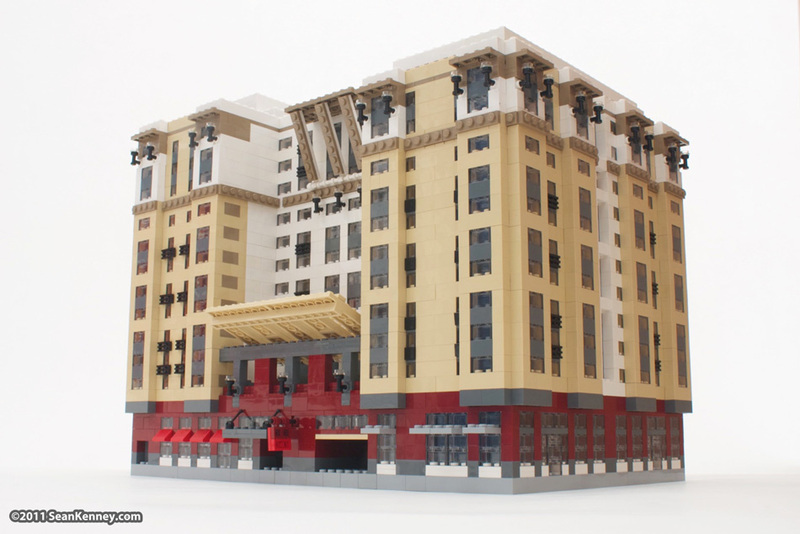 This hotel worked very well as a LEGO model, even though it's only about 15 inches wide!